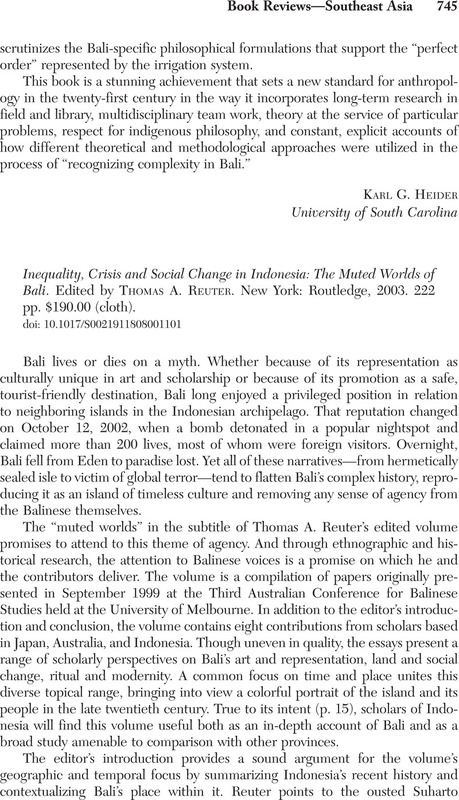 Inequality, Crisis and Social Change in Indonesia: The Muted Worlds of Bali. Edited by Thomas A. Reuter. New York: Routledge, 2003. 222$190.00 (cloth).